Come April and Chevrolet India will see a quick transformation of fate. 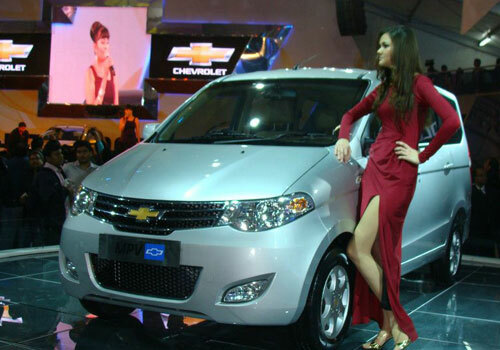 However, the preparation of have already begun with the Chevrolet Sail UVA and the recent entry Chevrolet Sail Sedan but the final contribution will be by the MPV Chevrolet Enjoy. In addition of creation of its own space in the MPV segment, the car will be threatening Maruti Ertiga and Toyota Innova as well. Expected to be priced between Rs 7 lakh to Rs 9 lakh, this Chevrolet MPV will be far superior in terms of space, comfort as well. In the segment, it could oust Ertiga and Innova from the best selling MPV title following its sheer performance and price. As it will be a Chinese offering, it will be Chinese car vs Japanese car. Meanwhile, the Chevrolet Sail sedan launch has been overwhelmingly successful leading to strikingly well response in terms of bookings. Already the car maker has bagged 1k bookings and more are in the pipeline. With two successful products in a row and the third in the offing, Chevrolet has all things right this year. Especially this MPV Enjoy will be an instant hit as it is bigger than Ertiga and is going to straightaway in tussle with Innova and Mahindra Xylo. In addition to this, the car will be available in petrol and diesel engine options leading to a varied choice to the car buyer regarding engine, power, and mileage. The 1.2 L petrol engine that powers the Sail sedan could be doing its duty under the hood of the petrol Enjoy as well. The MPV segment in India is more than hot since the Ertiga launch and it will be smoking hot after the Enjoy arrives. Meanwhile, reports have also confirmed that Nissan Evalia could also give some resistance to Enjoy as it is also reportedly doing well in the segment following its high mileage of around 19 kmpl and ultimately large space.